Ahmedabad is the largest city in the state of Gujarat, located on the banks of river Sabarmati. It is situated very close to the state capital, Gandhinagar. The development rate of the city is very high, it is known for its industrial, economic, commercial and business hub. It was a high trading centre of cotton and is now a major hub of automotive, pharma and petrochemical industries. It is also a major centre for higher education, information technology, and scientific industries. It is very convenient to get an easy loan in Ahmedabad. The process is so user-friendly compared to the traditional loans that it is gaining immense popularity among young professionals. You can take a cash loan from CASHe for various personal reasons like a medical emergency, travel expense, home or car repair, education expenses, debt consolidation, balance transfer or top up. The reason can be flexible. The app doesn’t ask to state any reason, the process is completely private. Money loan is paperless which require minimal documents for approval. Such type of loan is unsecured, which means you don’t need to show any asset ownership proof. 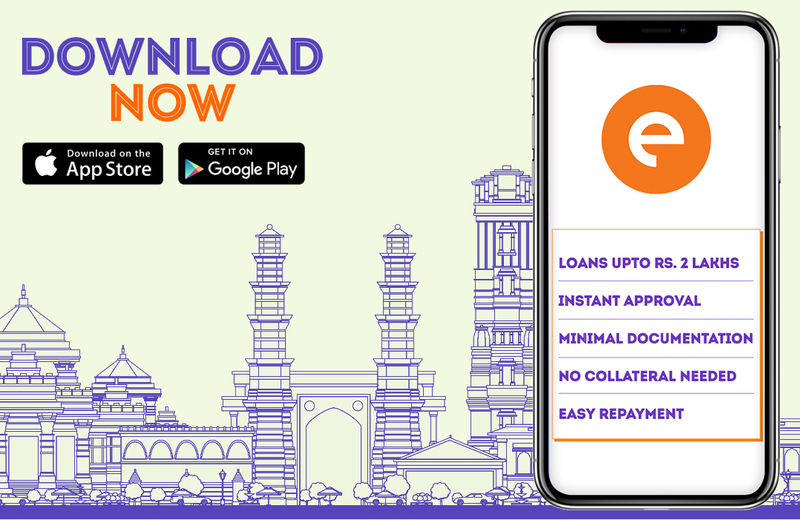 The whole application process to apply for an easy loan in Ahmedabad is simple and can be done via a smartphone cash loan app. Download the easy loan app like CASHe on your phone from Google play store or Apple app store. Make your profile on the app and enter your basic details to complete your profile like your name, number, bank details, and income proof. Enter the loan amount you require. A money loan can range from ₹10,000 to 2 lakhs. The duration of the cash loan can be 15, 30, 90 or 180 days. Before proceeding, check the interest rate. The next step is to submit your valid documents. This mainly includes your identity proof, address proof, and your income proof. The documents valid for an easy loan are a pan card, aadhar card, driver’s license, passport, rental agreement, utility bills, salary slips, and bank statements. Once you submit all the documents to the app, submit your money loan request. The app will take some time to review your loan request. Once your loan is approved the money will be disbursed to your personal savings account. You can repay the money loan amount on your due date by bank transfer or by cheque deposit. Almost all the working professionals or business owners are eligible to take a personal loan. You have to be between 23 years to 58 years old. You have to be a salaried employee on a registered company. You will need 3 to 6 months of salary slips from your employer. The interest rates offered by the cash loan apps are very competitive and low compared to the traditional loans. Such online money loan apps are popular as you don’t have to travel anywhere to get a loan. Many individuals in Ahmedabad now prefer taking a money loan via loan apps for their personal requirements. You can too apply for one by downloading CASHe app on your smartphone now.